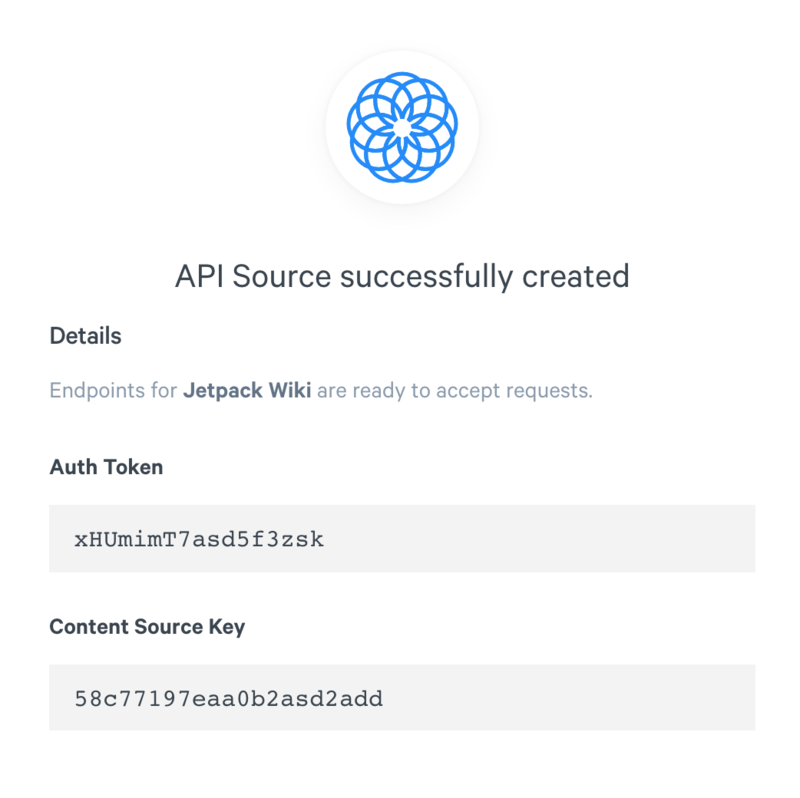 Swiftype’s connector framework offers simplicity, flexibility and power all rolled into one platform. 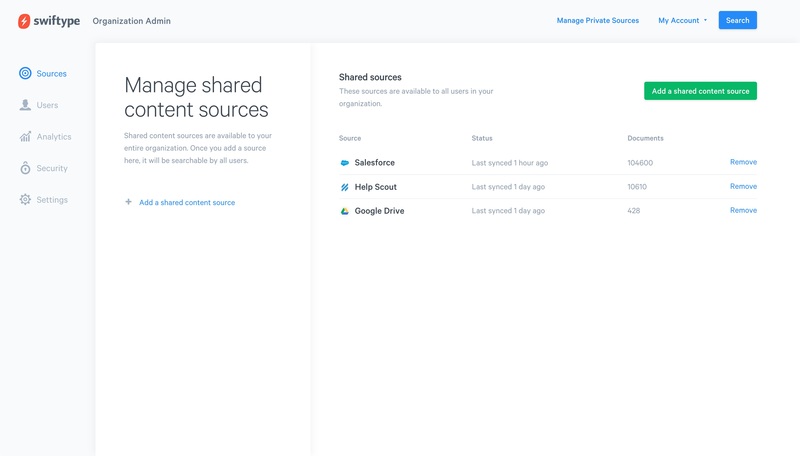 Using hosted one-click connectors, crawler-based sources or API-based content acquisition, you can index your content exactly the way you want it. Seamlessly, securely and swiftly connect to a wide range of cloud-based platforms using Swiftypes Connector Framework — all with just a single click. With Swiftype, you can streamline, organize and sync your content with ease. Our customizable crawler helps you catalog your web-based content, while our Custom API Sources help you index any type of data you may have. In just a few clicks, you’ll be able to create a secure and unique endpoint that’s ready to receive and sync immediately.